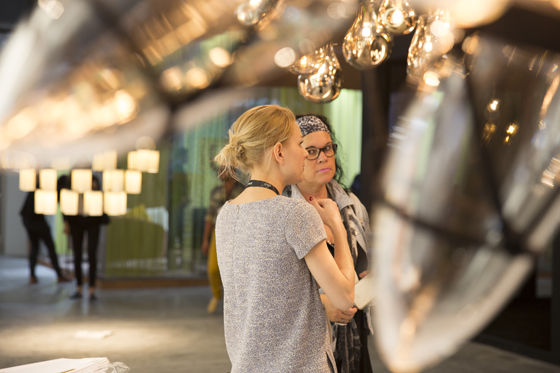 Private introductions to exhibitors, investors and other influential decision-makers at Downtown Design as well as workshops conducted by opinion leaders revealing insights into new trends. These are just some of the benefits offered by the fair’s Trades Programme, which, serving the Middle East, Africa and South Asia, encourages industry professionals attending the fair to make effective use of their time and gain a competitive edge in their respective sectors. This provenly successful platform supports architects, interior designers and other trade professionals by opening up new opportunities in the residential, hospitality, retail, wellbeing and corporate design worlds. The programme introduces members to exhibitors, distributors and real-estate developers. It can also plan and pre-book meetings with key brands and industry professionals. The programmes’ workshops help members stay at the top of their game by updating them on the latest trends, innovations and breakthroughs in research. Thus informed, they can anticipate and meet their clients’ needs more successfully. Other advantages of the scheme include guided tours of the fair during which members can make useful industry contacts; a concierge service with a trade registration desk that provides members’ badges to facilitate networking and assistance any time during the show; access to the Trade Lounge, and a complimentary stay at a five-star hotel (subject to availability). Another tool for empowerment at the fair is the schedule of talks outlined above. What’s more, members enjoy access to the invitation-only VIP opening of Downtown Design and its VIP party and to selected invite-only events associated with Dubai Design Week.